Rant – verb- speak or shout at length in a wild, impassioned way. Rants seem so justified in the moment and that’s the problem with them. Afterwards, when you need to find a way back into fellowship with the person you just unleashed on, you have two choices; you can either pretend like nothing happened which is a lie, and more than likely not going to fly, or you can apologize, which is rather the grownup thing to do. Rants are happening more and more with social media. It’s easy to hide behind a computer and spew, it’s quite another to go to the person you are angry with and have a conversation. It could be that the person has difficulty expressing anger. It happens, you get mad in a moment and you say something dumb. I’ve done it. You then have to go to the person and repent. I’ve found that people who rant on a regular basis often have issues with their family and friends. Most of the time people say they rant to make them feel better but studies shows that rants don’t make you feel better, they make you feel worse. They make you dwell and they solve nothing. Sometimes they incite a reaction that is equal to the action making it worse. One study I read from the University of Wisconsin said that ranting is linked to fighting and that the person ranting generally has two physical or verbal fights per month. I actually think it may be more than that. So why rant on social media? I talked to an acquaintance of mine who says she does it so that the rant gets back to the person. 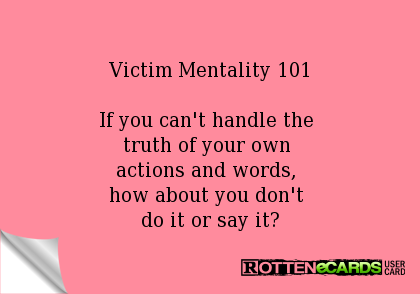 Another acquaintance says she does it to gain people who are on her side, still another one said she does it because you don’t have to look the person in the eye. And there’s the problem because if you aren’t willing to say it face to face, then you shouldn’t post it on social media. The passive aggressive verbal jab is to no effect, especially when it doesn’t make you feel any better. Words produce action. The action you get from the rant about the carpool line or the political state of the union is so much a different thing than the rant you make about the people in your life. If you are constantly ranting, it shows to everyone that no one is really safe with you. You will throw anyone under the bus at any time. Why not face the issues? It’s a lot easier to work things out, if that’s the motive. If it isn’t and you enjoy the high drama of a fight, rant on, and be prepared for the consequences.